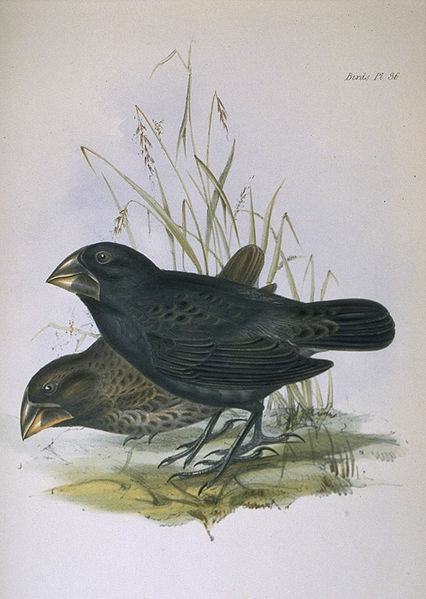 We introduced Darwin’s finches to our readers in our previous post. We told you about the research of Rosemary and Peter Grant on the Galápagos Islands that documented the rapid adaptation of the finches to radical changes in their food sources resulting from extreme weather events. In this post we will continue the story by telling you about another of the amazing discoveries of the scientists studying the finches over a period of nearly 30 years. In the first five years of the research study, there was little evidence of different finch species interbreeding, known as hybridizing. On those rare occasions when species interbred, the resulting generation was not as successful as their parents, with respect to finding a mate and raising another generation. Such lack of success of hybrids is considered the norm in nature. In fact, many hybrids are sterile, incapable of reproducing. Think of the sure-footed but sterile mule—the offspring of a horse and a donkey—as the classic example of a hybrid. After the severe drought of 1977 and the flood of 1983, the Grants began to notice an increasing number of cross-breeding birds. It seemed that the resulting hybrids were having more breeding success than the pre-drought hybrids and the data confirmed their observation. This counter-intuitive conclusion required some careful consideration and the conclusion is a valuable lesson in our rapidly changing environment. The environment on the islands was radically transformed by the severe drought and subsequent flood. The cactus was overwhelmed by a vine that smothered it. The plants with big, hard seeds were attacked by a fungus that decimated the population. The small seeded plants thrived and became the dominant food source. The rapidly changing environment was causing more rapid evolution and the genetic variability of hybrids was giving them an advantage. If the environment is changing rapidly in unpredictable ways, the birds could increase the odds of finding a winning strategy by increasing the variability of their genes, sometimes resulting in novel traits. We cannot and should not, however, anthropomorphize the birds by imputing motives to the selection of a mate of another species. The starving cactus finch probably observes that a male of another species—a seed-eating ground finch, for example—appears to be more fit than a male of her own species. She is not thinking of the odds of increasing genetic variability. Natural selection operates without the conscious effort of species. We are experiencing a period of rapid change because of the anthropogenic (caused by humans) impacts on the environment, most notably climate change, but surely many other impacts which we don’t necessarily understand. These would seem the ideal conditions for the hybridization of species which speeds up evolution by increasing genetic variability. 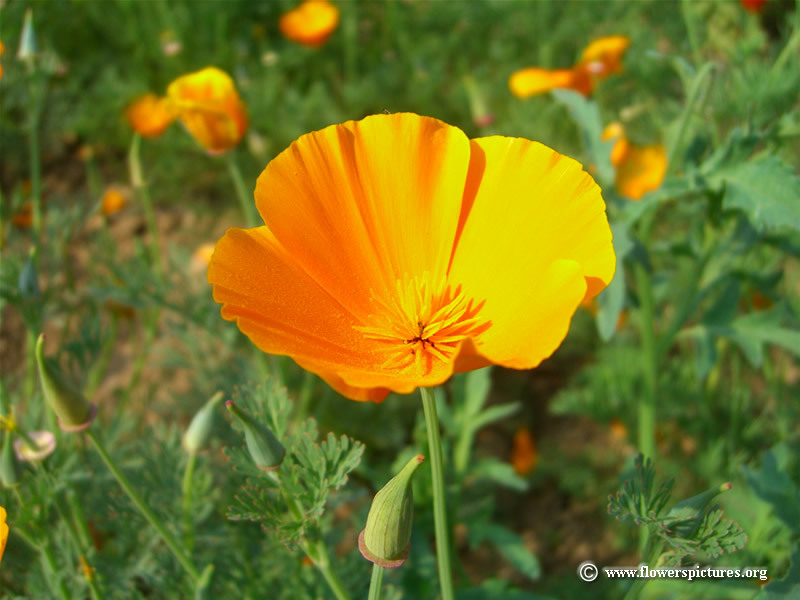 Our local native plant society wants only California poppies to be allowed to grow in the exact location in which they historically existed. They fear that if poppies from another neighborhood are allowed to grow in proximity to the local native, “genetic pollution” will occur. The variety of California poppy being eradicated from the Presidio in San Francisco. Non-native Spartina marsh grass on the entire West Coast of our country is being eradicated because it was hybridizing with the native species of Spartina. Conservationists are trying to find American bison that are not hybrids of cattle, with little success. Cattle have been interbreeding with bison for several hundred years, so this seems a fruitless task, like many nativist fantasies. Are efforts to prevent hybridization depriving plant and animal species of opportunities to adapt to the rapidly changing environment? We don’t know the answer to that question, but we find it a provocative line of inquiry. Very interesting article. Most of us think of hybrids as a sort of accident. But the idea that they’re evolutionarily adaptive calls into consideration the whole definition of species, especially subspecies. And definitely interferes with ideas of racial purity among animals and plants. You say that we are experiencing a period of rapid change because of the anthropogenic impacts on the environment, most notably climate change. The term “rapid” is so overused it is becoming meaningless. But I suppose the increase in a century of cities of a 1 million or more from 20 to 450 qualifies. That must have had a significant impact on the environment and climate both positive and negative. Humans alter the land surface characteristics with irrigation, removing and introducing forests, changing vegetative land cover though agriculture, and reservoirs. These changes affect local and regional climate patterns as evidenced in the San Joaquin Valley. That alteration has benefited some species of birds. Some endangered species are now dependent on agriculture. I have noticed what seems to be a positive impact of urban sprawl; at least in the Bay Area. Some Bay Area agricultural areas have been rezoned rural residential allowing homes every 2 or 3 acres. Where there was open pasture or orchards people have allowed volunteer trees to grow or have planted trees (native and non-native) that support more birds. Urban sprawl has reforested the land. With urbanization we may also get more trees. Based on your earlier posts it seems that San Francisco has more trees today than there were before the City was developed. Regarding climate, the earth’s temperature appears to have increased during the last several decades, but there does not appear to be any evidence of “rapid” or extreme warming.